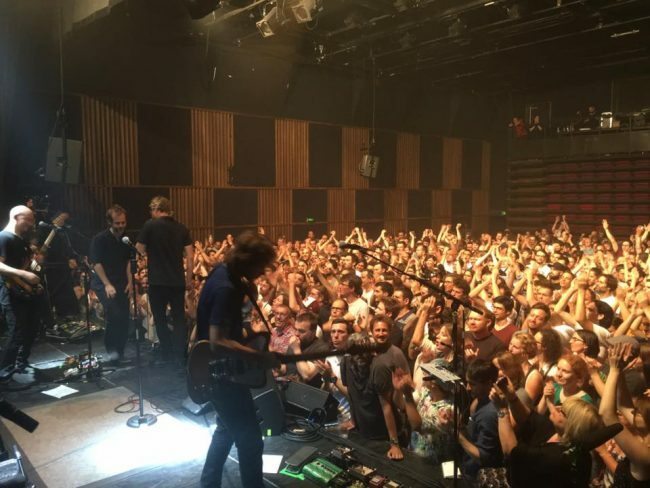 The National has only so far released their scintillating song The System Only Dreams in Total Darkness from their upcoming new album Sleep Well Beast. Tonight the band dropped new song Guilty Party via the song’s official video. Once again we’re smitten. 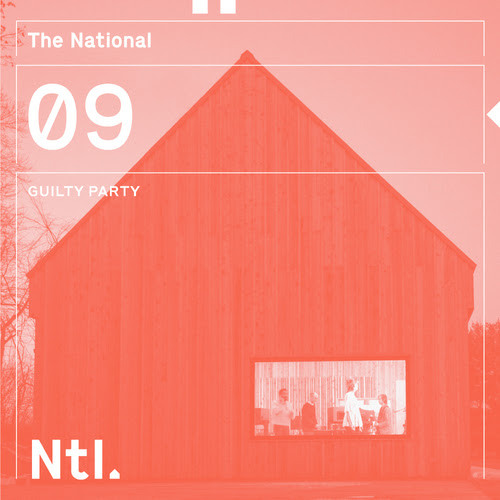 There are no sea-changes on Guilty Party, but inspired twists and turns with added electronic elements, melodica and Joy Division-esque guitar-overtones to accompany Matt Berninger’s always-affecting lyrics and vocals. As usual, a great song from this national treasure of a band. “Another year slips away, another summer of love.” Indeed. Sleep Well Beast will be released on Sept. 8th on 4AD. Pre-order it HERE. 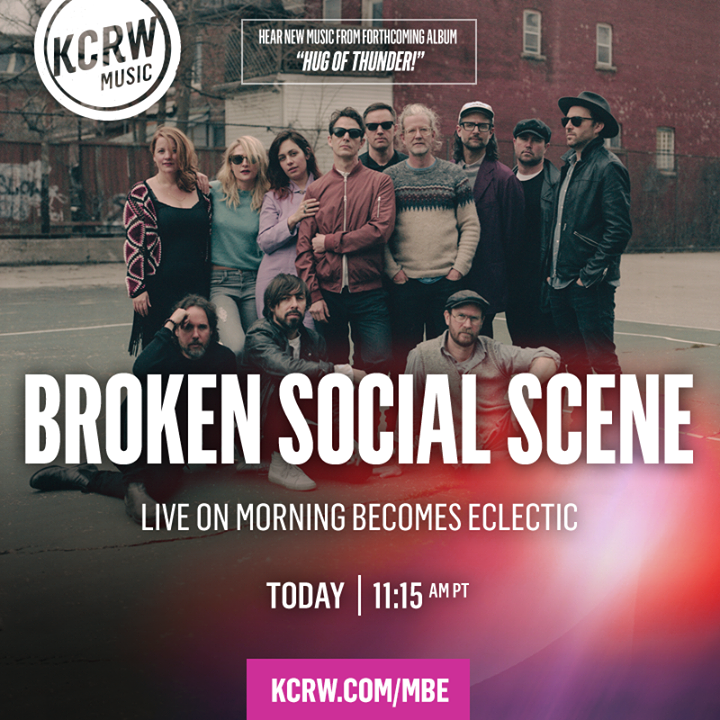 As mentioned repeatedly on these pages, the considerable Canadian collective Broken Social Scene will next week drop their long-awaited new album Hug of Thunder. 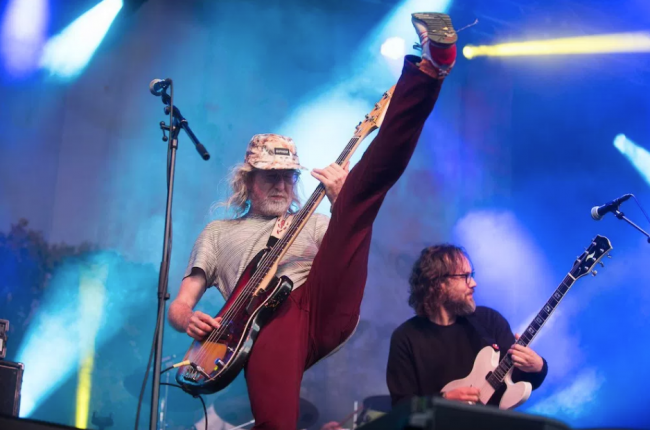 The band is out on tour tightly re-knitting their social scene to support their impending album, including a “Best of Festival” outing at the Arroyo Seco Weekend this past Saturday. Continuing to stoke the scene, BSS today released the album-version of formidable new song Stay Happy and announced additional West Coast dates to their fall tour (see dates at bottom), including the Wiltern Theater on 10/28. Get tix HERE. Without further adieu, compare and contrast below the recorded version and the live version of Stay Happy as performed on KCRW last week. Newcomer Ariel Engle delivers the enlivening vocals on the song. There will be verve. Hug Of Thunder was produced by the acclaimed Joe Chiccarelli (White Stripes, Spoon, The Strokes) with Nyles Spencer, and mixed by Shawn Everett (Alabama Shakes, Weezer). You can pre-order Hug of Thunder HERE. 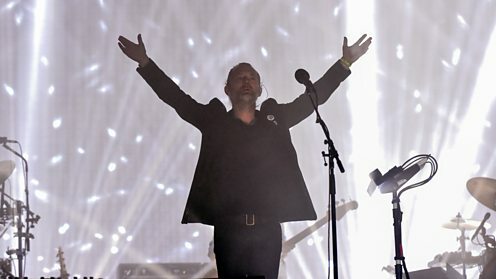 Celebrating the 20th anniversary of their Glastonbury Festival debut and the release of their seminal OK Computer album, Radiohead showed yet again tonight why they are the perfect match with the Glastonbury fans (the best there is). Watch the set below. Yesterday Lefort-faves Broken Social Scene appeared on KCRW’s Morning Becomes Electic to perform a full set of songs with a full group (including Emily Haines of Metric, but minus Feist). Among the fantastic songs performed was previously unheard song Stay Happy off their impending new album, Hug of Thunder, which is due on July 7th. Stay Happy features an intro of harmonizing horns and voice and impressive horn playing to augment the sunny songwriting. After Stay Happy, check out two other performances of faves from the new album, Halfway Home and Hug of Thunder. What’s not to love? Superb stuff yet again from BSS. The Canadian ensemble will perform tomorrow at 4:50 pm on the Sycamore Stage at the Arroyo Seco Weekend Festival. Be there! Tonight in Paris The National played a comparatively intimate live performance as a warm up before heading to headline Glastonbury this weekend. As you can see from the setlist below, nine of the thirteen songs are songs from the band’s next album, Sleep Well Beast, which will be released in September on 4AD. The band has only previously revealed one of the new album’s songs, The System Only Dreams in Total Darkness, so this setlist is a major treat for the band’s ardent followers. Watch the performance below. Having just discovered the talented Aldous Harding a while back, we now have a much better feel for this extraordinary performer. Harding has received rave reviews from her current tour and recently stole the stage on Later with Jools Holland (watch below after the new video). Now Harding has released the official video for scintillating song Blend off of her critically-acclaimed new album, Party. About the video (directed by Charlotte Evans), Harding has said, “The concept is based on that awful scene from ‘Apocalypse Now’ where the playmates pile out of the helicopter. The costume [Ed. : nearly identical to one of the Apocalypse Now playmates’ get-ups] was handmade for me, it turned out great. It’s in the bin. I spent eight hours dancing on a Lazy Susan, it was easy really. Obviously I know what it is… The song itself was written in an AirBnB in Bristol the night before going into the studio.” Watch the alternately hilarious and beguiling new video below followed by her performance of Horizon on Jools Holland. Check out and obtain tix for her Tour Dates afterwards (including tomorrow night-6/22-at the Echo in LA) and pick up Party HERE. We last wrote about a new video for Elbow’s altruistic song All Disco. Now comes a fantastic live performance of the song by the band for the BBC. Check it out below followed by the official video. 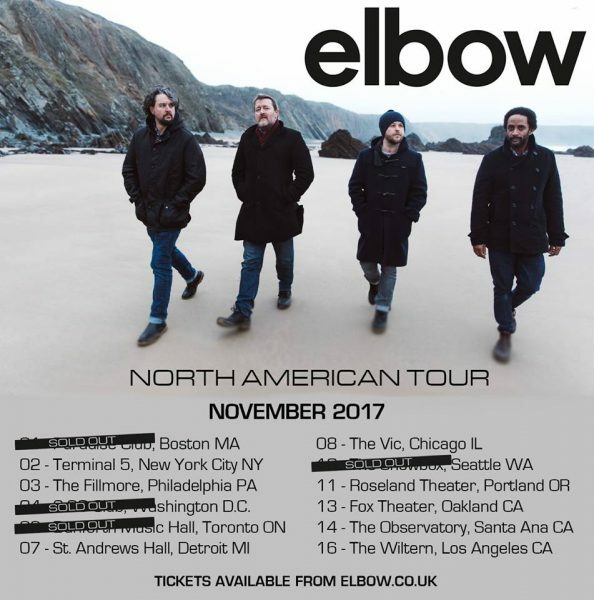 Early this year, the magnificent (we says) Elbow released new song All Disco, continuing the band’s history of sonorous/observant anthems. At the time of the release in advance of their superb album Little Fictions, the band’s leader Guy Garvey confessed that the song’s title stemmed from The Pixies’ Frank Black’s claim that compared to other matters in life, whatever music you’re fawning over it’s just “all disco.” So it’s fitting that All Disco’s new video below features interviews with record shoppers on 2017’s Record Store Day about music that moves them. It’s a heart-warmer. Check it out below followed by the song’s lyrics. Buy or stream Little Fictions HERE. Also, this fantastic live band will be touring in North America in November, and you can get tickets HERE. 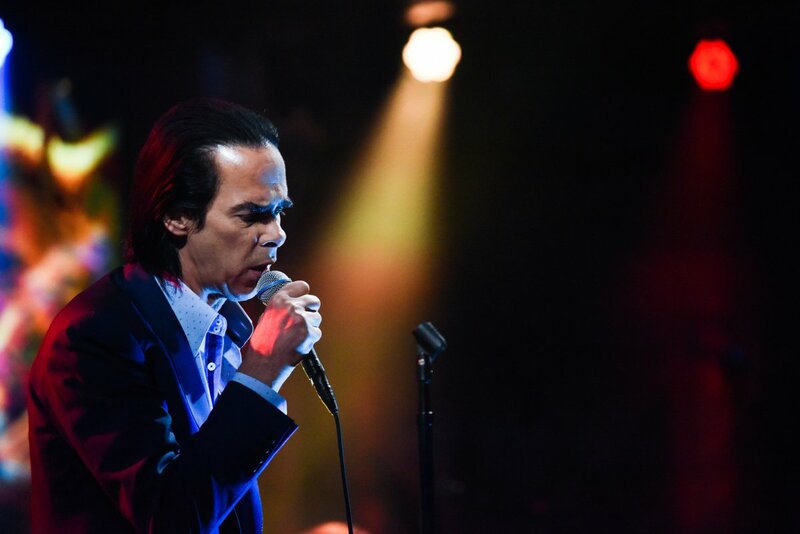 Nick Cave has once again come through tumult and tribulation, and remains a triumphant live performer. Don’t believe us? Just watch Cave’s smoldering performance below of muse-homage Rings of Saturn (worthy lyrics below) off of his haunted and haunting album Skeleton Tree. Cave and his Bad Seeds are out on tour now, and you can check the dates and get tickets HERE (including impending dates this month in Cali). Don’t you miss it. He’s one of the greatest ever to grace a stage. The past twelve months have been halcyon music days for West Coast fans of Iron & Wine and its leader Sam Beam. During that time, Beam has passed through these parts performing live at least three times, once with Jesca Hoop in support of their mesmerizing Love Letter for Fire album, and twice while getting back-to-basics with stirring solo outings. And Beam hasn’t otherwise just been lolling around, having managed to release a covers album with Band of Horse’s Ben Bridwell and release additional Archive recordings. 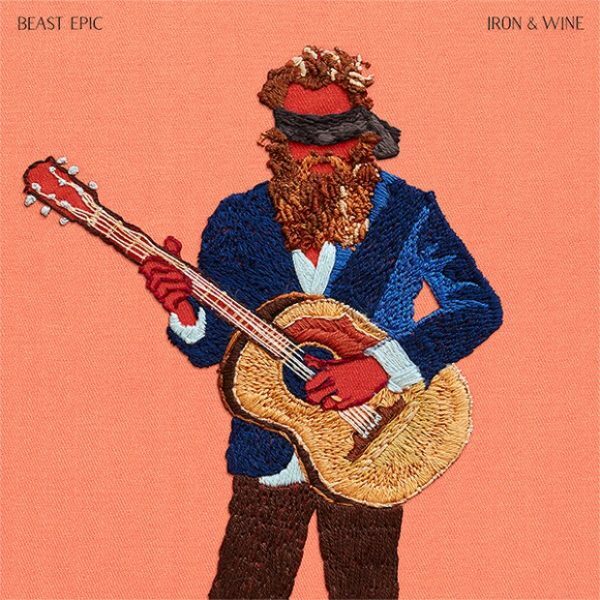 And if that weren’t enough, we now know Beam has been laboring on a proper new Iron & Wine album, entitled Beast Epic, that will be released on Sub Pop on August 25th (the ensemble’s first since 2013’s fine Ghost On Ghost album). To give a feel for the new beast, Iron & Wine has given us the album’s Call It Dreaming single in the form of a heart-and-blood-warming video directed by J. Austin Wilson. Check it out below, followed by the new album’s tracklist, the band’s announced tour dates (with some great openers) and Call It Dreaming’s lyrics. We can’t wait for Beast Epic! It’s a warm and serendipitous time to be reuniting with my Seattle friends because I feel there’s a certain kinship between this new collection of songs and my earliest material, which Sub Pop was kind enough to release. In hindsight, both The Creek Drank the Cradle (2002) and Our Endless Numbered Days (2004) epitomize a reflective and confessional songwriting style (although done with my own ferocious commitment to understatement, of course.) I have been and always will be fascinated by the way time asserts itself on our bodies and our hearts. The ferris wheel keeps spinning and we’re constantly approaching, leaving or returning to something totally unexpected or startlingly familiar. The rite of passage is an image I’ve returned to often because I feel we’re all constantly in some stage of transition. Beast Epic is saturated with this idea but in a different way simply because each time I return to the theme I’ve collected new experiences to draw from. Where the older songs painted a picture of youth moving wide-eyed into adulthood’s violent pleasures and disappointments, this collection speaks to the beauty and pain of growing up after you’ve already grown up. For me, that experience has been more generous in its gifts and darker in its tragedies. I’ve been fortunate to get to play with some very talented musicians over the years who are both uniquely intuitive and also expressive in exciting ways. This group was no different. We spent about two weeks recording and mixing but mostly laughing at The Loft in Chicago. Feist is seemingly everywhere these days. After completing one leg of her tour (including an outstanding three-date residency in LA at the Palace Theater) in support of her latest album, the preeminent Pleasure, she is now out on the next leg of her tour in North America. And when she’s not performing alone, she’s finding the time to convene with her Broken Social Scene pals on stage at various festivals (watch joyous Field Trip collabs at bottom). And last night, she took time to appear on Stephen Colbert’s Late Show (her first TV appearance since releasing Pleasure) to perform the scintillating song Century off the album. Watch the performance below in which Feist is surrounded by her band and joined by Colbert (subbing for the record’s contributor, Jarvis Cocker of Pulp) for the song’s spoken-word interlude. 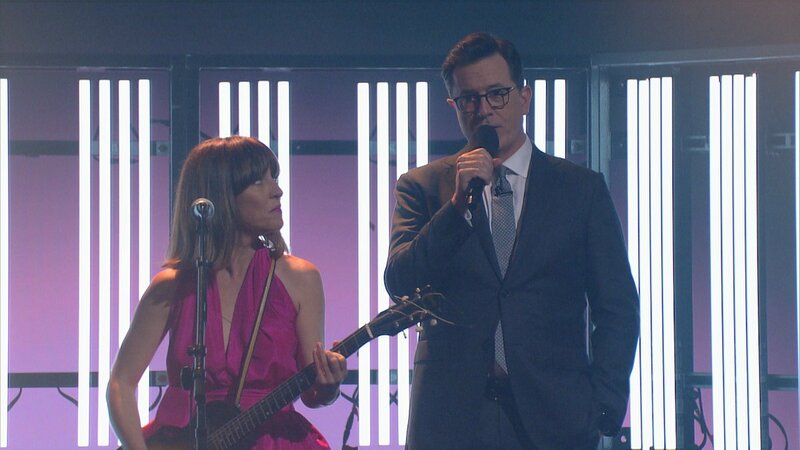 Feist rages through the song in fine fettle, only breaking briefly after looking over at Colbert. If you haven’t seen her current tour, get on it. The announced dates are below the video.